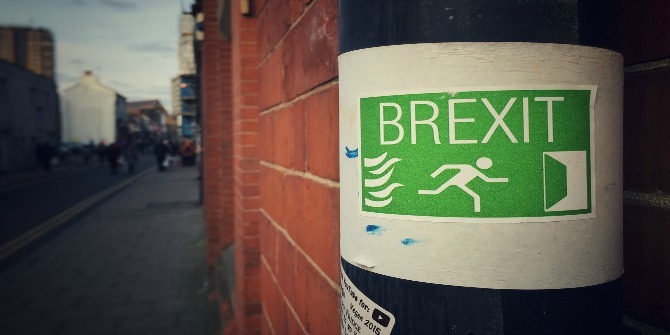 June 26, 2016 — Links International Journal of Socialist Renewal — In the aftermath of the Brexit referendum which ended with a vote in favor of the UK leaving the European Union, Links has republished a variety of statements reflecting the views of key left forces in England, Scotland and Ireland. Click HERE for more on Ireland. For more on socialists in municipal councils, click HERE. July 4, 2015 -- Irish Republican News, posted at Links International Journal of Socialist Renewal -- The election of a first-ever Sinn Fein mayor in Dublin has underlined the party’s progress in city councils across the island ahead of the centennial commemorations of the 1916 Easter Rising. Long-standing Dublin councillor Criona Ni Dhalaigh (pictured above) was elected mayor with 41 votes from the 63 member city council -- despite a last minute effort by the right-wing parties to wreck a deal which should have guaranteed Sinn Fein the post. 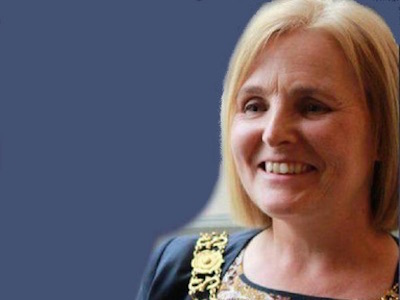 Ni Dhalaigh is the 346th mayor of the city, but only the eighth woman to hold the office. Sinn Fein became the largest party on the council at last year’s local elections, taking 16 out of the council’s seats. See "Ireland: Right2Water unions begin new left process"
April 27, 2015 -- Links International Journal of Socialist Renewal -- The following statement, for the May 1, 2015, conference organised by the trade unions affiliated the the Right 2 Water campaign, was agreed between the People Before Profit Alliance, the Anti-Austerity Alliance and some independent activists, including councillor Brendan Young. The People Before Profit Alliance is aligned to the Socialist Workers Party in Ireland, while the Anti-Austerity Alliance is associated with the Socialist Party (CWI). Despite wariness among activists due to these organisations' past practices that contributed to the failure of the United Left Alliance, the statement has been widely welcomed. The text is taken from that posted by the Irish Left Review. 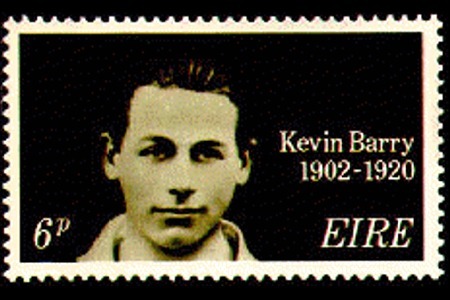 May 2, 2015 -- Irish Republican News, posted at Links International Journal of Socialist Renewal -- With just days to go before a potentially historic Westminster general election on May 7, a further rise in support for the Scottish National Party (SNP) is already creating a crisis in British politics which will likely have implications for Ireland. Most recent polls indicate that the SNP will sweep almost all of the 59 Westminster seats in Scotland, and is well placed to win the balance of power in London. The development appears to have taken the British establishment by surprise and thrown the opposition Labour Party into chaos. 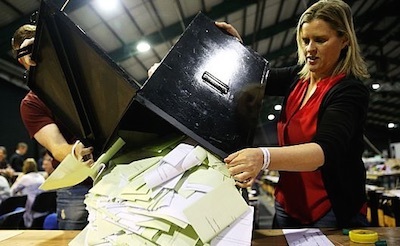 All but one or two of the 59 MPs elected by Scotland could now be won by the SNP by the time counting concludes, creating a political imperative for independence which is directly comparable to the 1918 "Sinn Fein" election in the aftermath of the Easter Rising in Ireland. 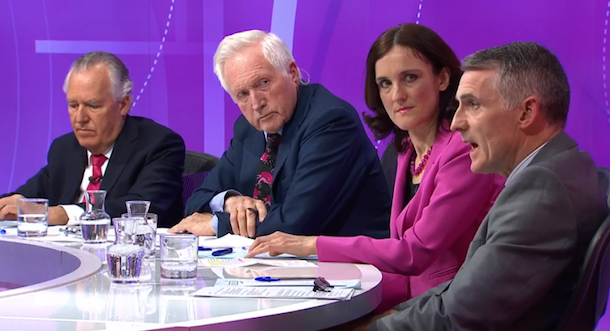 A confused Labour Party leader Ed Miliband told a television election special that he would refuse any pact with the SNP -- even if it meant giving up the chance of power to David Cameron’s Conservatives (Tories). On May 1 he repeated that there would be “no deals or coalitions”. March 9, 2015 -- Links International Journal of Socialist Renewal -- Greece's deputy foreign minister Euclid Tsakalotos' (SYRIZA) address to Sinn Féin Ard Fheis 2015. Introduced by Sinn Féin MEP Lynn Boylan. March 30, 2015 -- Links International Journal of Socialist Renewal -- Sinn Féin president Gerry Adams TD points out that Sinn Féin's progressive politics is the only alternative to austerity. Sinn Féin is totally and absolutely opposed to austerity north and south. 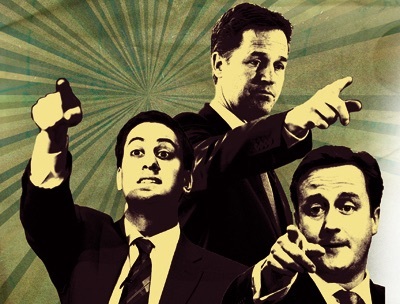 Any parties, which contemplate endorsing or supporting a cabinet of millionaires who are behind budget cuts, cuts to public services and cuts to social protections are ignoring the needs of the people in favour of narrow self-interest. The people need to have the opportunity to have their say and their voice needs to be heard. The parties at Westminster are committed to further austerity. Sinn Féin’s progressive politics and commitment to the rights of citizens is the only alternative to that. We want to see a society based on equality, inclusion and safeguards for children with disabilities, adults with severe disabilities and the long term sick. March 19, 2015 -- Hintadupfing/Green Left Weekly, posted at Links International Journal of Socialist Renewal -- On March 9, Sinn Féin announced it would oppose the new welfare reform bill in the Northern Ireland Assembly, accusing its government partner – the Democratic Unionist Party (DUP) – of acting in bad faith on protecting welfare recipients. 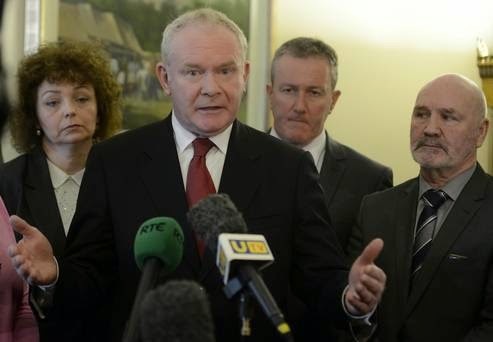 The same day, Sinn Féin moved a Petition of Concern — supported by the Social Democratic and Labour Party (SDLP) — in the assembly to prevent the passage of the bill, which would impose cuts to welfare. This forced the DUP minister for social development, Mervyn Storey, to withdraw the bill and re-enter talks to resolve the stand-off. January 22, 2015 -- Cairde SinnFéin Australia, posted at Links International Journal of Socialist Renewal -- Sinn Féin President Gerry Adams TD has spoken by phone with Alexis Tsipras, leader of the SYRIZA party in Greece. Speaking after their conversation, Adams said he had wished Tsipras and SYRIZA well in the Greek general election on January 25. Adams said: “I spoke this morning with Alexis Tsipras, leader of SYRIZA. I expressed Sinn Fein’s solidarity with the Greek people as they struggle against the disastrous consequences of the austerity policies of the Greek government, the European Union and the International Monetary Fund. “On my own behalf and that of Sinn Féin I extended good luck and best wishes to SYRIZA in Sunday’s general election in Greece and expressed our full support for a European debt conference. “The austerity policies of Ireland's Fine Gael/Labour Party government and its predecessors have inflicted widespread damage on Irish society and hardship on our citizens. December 12, 2014 -- Green Left Weekly -- Up to 100,000 protesters shut down Dublin city on December 10 in the latest mass demonstration against the introduction of water charges. Protesters from across the country braved media hysteria, riot police and police barricades, and the threat of a fierce storm, to descend on the centre of Dublin, placing Leinster House – home of the Dáil (the Irish parliament) – and other government buildings in “lock down”. 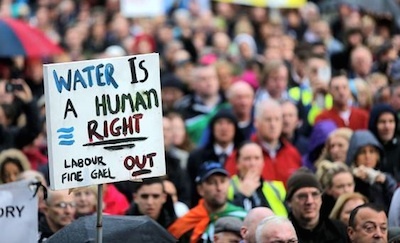 The protest – organised by the Right2Water campaign – was the third major protest against the charges in two months. It came after a 100,000 strong march in Dublin on October 11 and protests across Ireland on November 1 that attracted about 200,000 in dozens of towns and cities. The introduction of new charges on water use, levied via new state-owned company Irish Water, has brought years of anger with austerity cuts and government arrogance to a head. Not only is the cost of water already covered by general taxation, it is also widely believed water charges are a first step towards privatising Irish Water and the revenue from water charges. 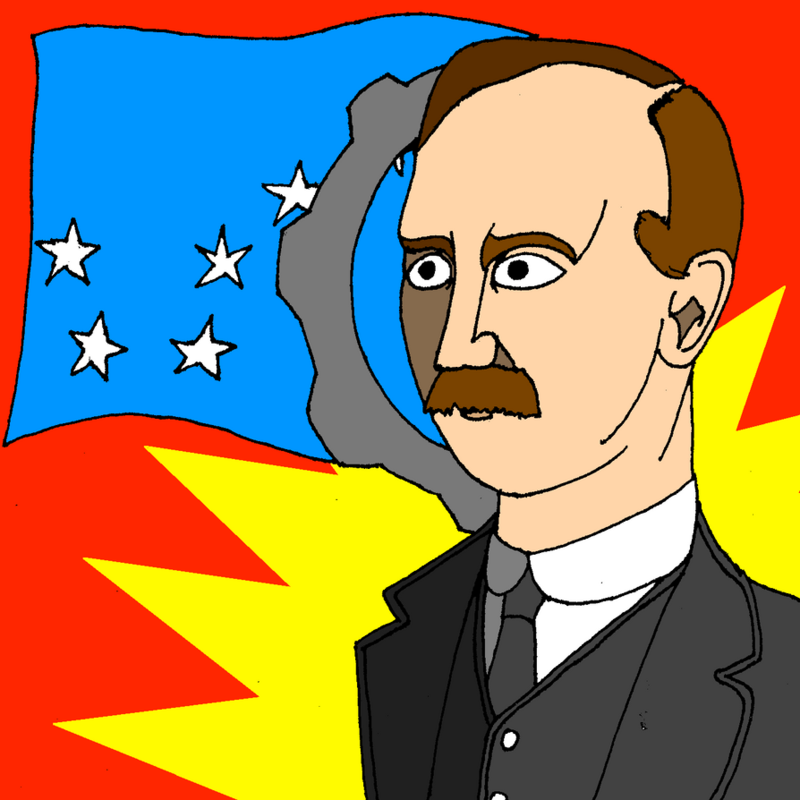 Tribute to James Connolly by MyLittleTripod. December 14, 2014 -- Links International Journal of Socialist Renewal -- "My business is revolution." These words of the Irish socialist James Connolly succinctly sum up the main focus of his life. James Connolly is one of the towering socialist figures of our time. Connolly’s commitment to socialism and internationalism saw him work as labour organiser in Scotland, the United States and Ireland. Connolly was also a stalwart member of the left wing of the Second International along with Lenin, Eugene Debs, Rosa Luxemburg and Leon Trotsky. However, Connolly is most well known for his central role in the struggle of Irish independence, especially in leading the Easter Uprising of 1916. The revolt failed and cost Connolly his life, but it was the spark that led to the end of British rule in the 26 counties of southern Ireland. 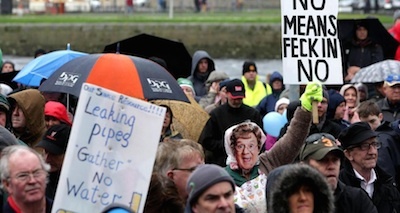 200,000 people demonstrated across Ireland on November 1 in protest against water charges. November 1, 2014 -- Irish Republican News -- Sinn Fein has topped an opinion poll in the 26 Counties for the first time in the history of polling in the state, gaining four points to move up to 26%. The Millward Brown survey for tomorrow’s Sunday Independent questioned 1000 people over the past 10 days. It shows independents also making gains, they increased their support by two points to stand at 23%. Support for both government parties is down significantly, with Fine Gael dropping three points to 22% and Labour down two from 9% to 7%. Fianna Fail has also seen a drop in support, down one to 20%. The poll showed a major move up for Sinn Fein, despite an intensive and orchestrated campaign in the establishment media to damage the party. The news also came as over 200,000 people demonstrated on streets up and down the country in protest against water charges. Even the smaller towns across Ireland saw people march in their thousands, while cities numbered in tens of thousands. 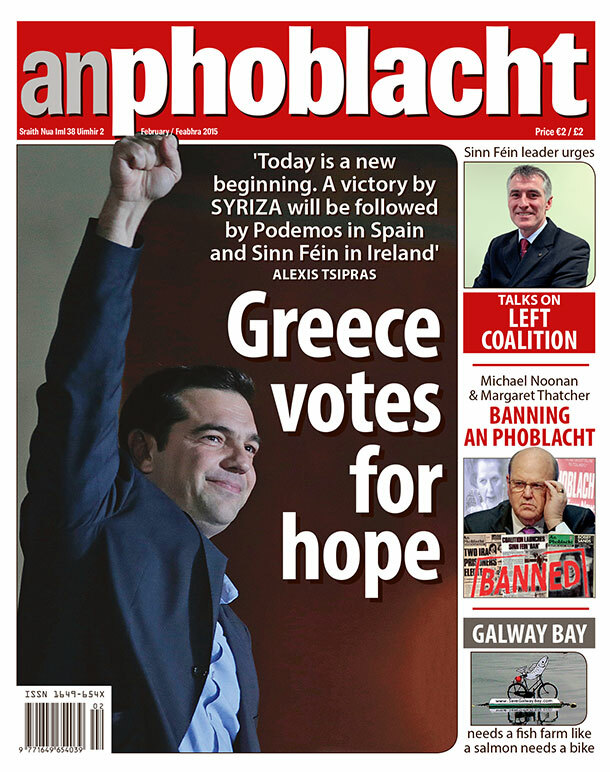 See also "Water revolt in Ireland: Socialist candidate wins by-election as 100,000 march". Click for more discussion of Irish politics. 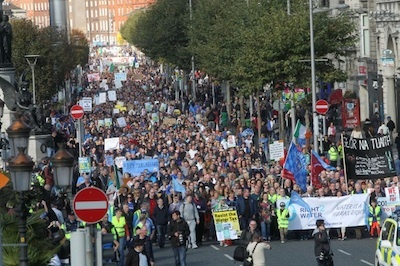 October 11, 2014 -- Irish Reuplican News -- Crowds not seen in several years have demonstrated against water charges on the streets of Dublin city centre on October 11 as voters delivered a stunning message of no confidence in two by-elections to the Dublin parliament. 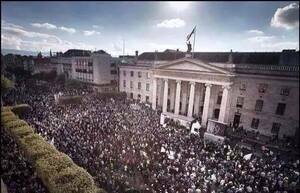 Traffic in Dublin’s city centre came to a standstill due to the unprecedented collective anti-austerity march. The demonstration took one hour and twenty minutes to pass the Spire in O’Connell Street asmarchers made their way from Parnell Square, around the city finishing at the GPO in O’Connell Street. While the Garda [police] press office could declined to give a figure for the numbers in attendance, one garda observing the march admitted the numbers could be as high as 100,000, a giant number by the standard of such protests.